We are partnering with Scratchtown Brewing Company in Ord, NE to host a Socially Inspired painting night! Guests can click below to register! October 27, 2016 – We painted the Harvest Moon design. April 21, 2016, 6:30- 8:30 pm – We will be painted this flower design! January 21, — We painted Mr. Snowman! Check out pictures from the event on our facebook page! October 15th – SOLD OUT!! 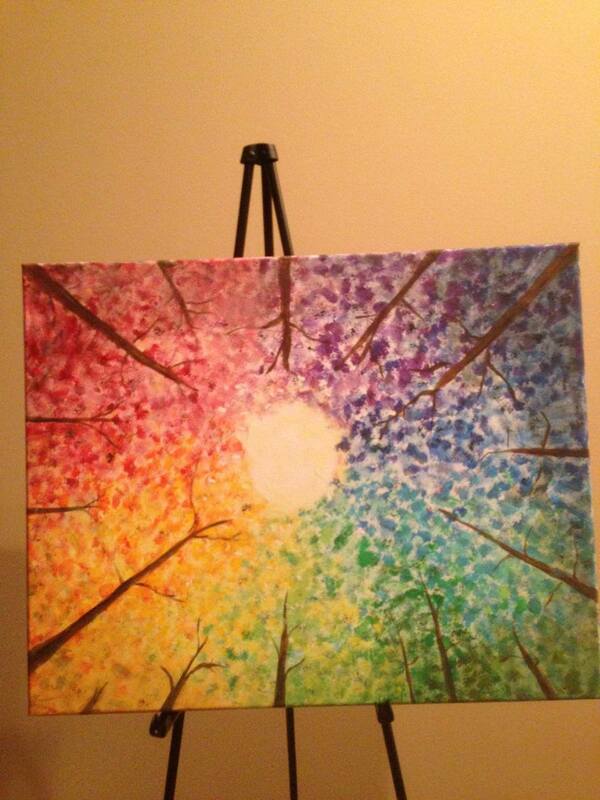 We painted rainbow trees! Hi Melanie – you’ll actually need to click on the payment link within the event description paragraph above. It will take you to our paypal site to pay your registration fee. Please contact us with any questions you might have! I signed up and paid for two, myself and Lori Rogers but only see that 5 people are registered, counted myself as one. Can you please see that Lori is also registered? Thanks! Hi Mary, your registration for 2 came thru. It isn’t linked to the Facebook event as far as number of people attending. Thanks for checking!